There's no place like a familiar one. The Algarve is an old acquaintance of the events scene, but that doesn’t mean it has nothing new to offer. Take, for example, the brand new Algarve Congress Centre, fully integrated into the Tivoli Marina Vilamoura Hotel, a place that will bring a whole new class of gatherings to the region. Nearly 3,000 people can meet at the Centre´s main room, Fénix (Phoenix), a rising star in the Algarve’s event industry, with a 10 metre high ceiling and a capacity to be adjusted for groups of all sizes. Several large and adaptable rooms are also available, including foyer areas suitable for exhibitions, production and more. The natural light is a bonus for events at the Centre, with indoor and outdoor areas that have a privileged look over the Marina. Gardens, rooftops, beaches and shiny new interiors can house several kinds of meetings. Privately catered areas, such as the gardens of Lakeside, with a 3,000 guest capacity, are an added bonus. All this functionality and close connection to hotel facilities make it a one of a kind venue in Europe. The Algarve Congress Centre went out of its way to invest in state‑of‑the art technology, for an unforgettable event, that can be shared using high speed Wi‑Fi. Mediterranean themed areas showcase the region’s climate and landscapes, taking advantage of this unique setting. Restaurants, swimming pools, spa and pristine Vilamoura beaches are a part of the deal for everyone choosing this venue, and this trendy area has over 3000 rooms at 4 and 5‑star properties. Spots like Purobeach Vilamoura, with its contemporary fusion cuisine, Pepper’s Steakhouse and the Italian Oregano are available for catering. An experienced team makes everything go smoothly, from a world class programme to around the clock support. 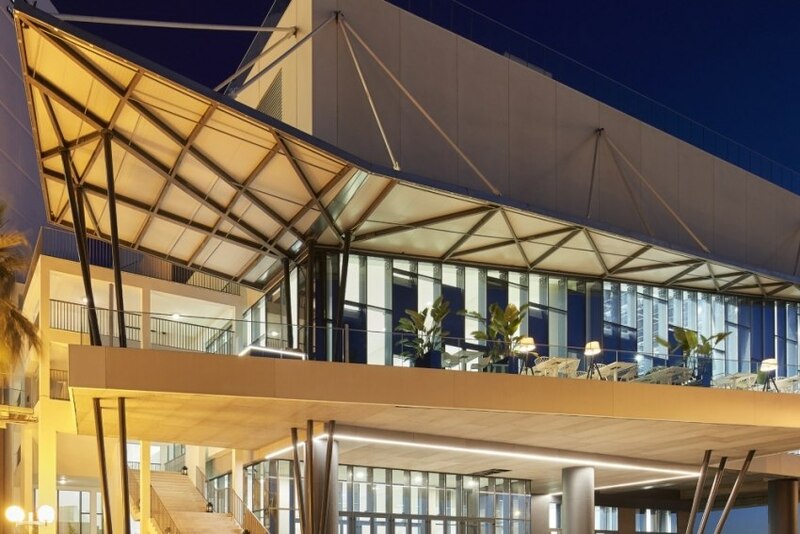 The Algarve Congress Centre is a short 25 minute drive from Faro airport, that boasts of several international connections. Vilamoura is a central place in the region, with commercial and cultural spaces, casinos and entertainment. And of course, the Marina is worldwide famous and can fulfill any boating dreams. This venue also has complimentary parking, loading and unloading zones, and capacity for heavy loads, which ensure that organisation and setup always run smoothly.